I started training in Goju karate in 1972 Bunbury on Shihan Burdetts (head of the SW Goju Ryu Karate Association) second training night in Bunbury. I am the remaining student from that class. Previously I had some experience in Judo, Ju-Jitsu and Shotokan, but instructors and places have been long forgotten. After receiving my Shodan (Black Belt) in 1975 I travelled to Europe where I trained with various Shotokan, Wado, Goju Karate and Kung Fu instructors. On my return I moved to Manjimup and started the Manjimup Karate Club. In 1983 I was fortunate enough to train and be graded in Japan to 3rd Dan by the late Gogen Yamaguchi (10th Dan). While in Japan I was honoured to be taught some Kubudo (weapons) by the late famous Master Motokatsu Inoue. I spent some years training in the art of Chi Kung (Chinese Breathing Techniques) and Wei Mu (Chinese Kung Fu) with Sifu Wee. With the passing of Gogen Yamaguchi I was graded by his son Goshi to 4th Dan. In 2012 I was awarded 5th Dan Renshi-Shihan by Alan Burdett under the IKO, International Karate Organisation. 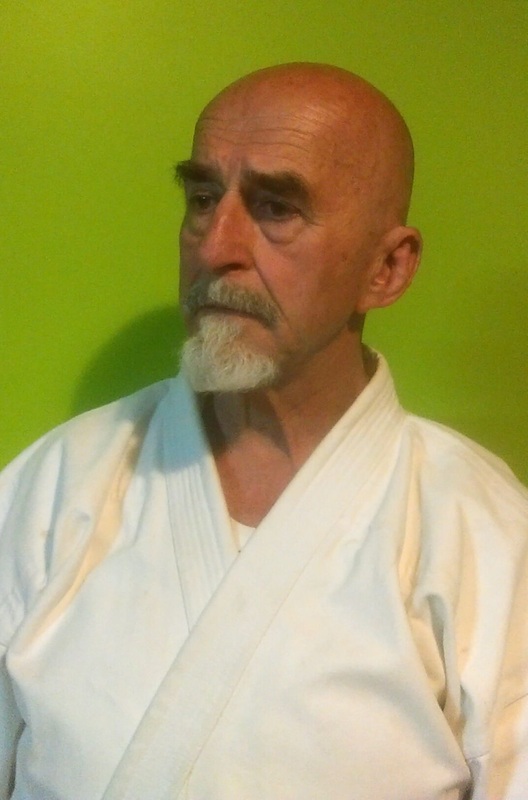 I am a life member of the South West Goju Ryu Karate Do Association and been recognised by the Association for my 35 years of coaching at the Manjimup Dojo. For the last 15 years I have been training in the Samurai arts of Iaido (the art of drawing and cutting with the sword) and Jodo (short stick combat against the sword) with Sensei Ray Lawrence from Perth. In 2008 I started the Pemberton Dojo with Assistant Instructors keeping the training at a high level. I strive to perfect my basics, pass on to my students as much of my accumulated knowledge as I can and keep training as long as I can.